I can't believe this day is finally here... 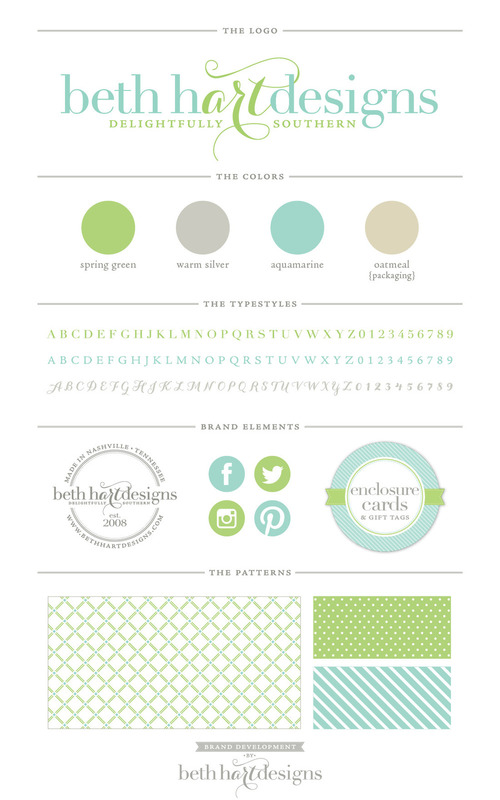 I'm so very excited to share with you the brand new Beth Hart Designs! I've spent the better part of 2 months rebuilding my little business - the branding, website, packaging and all. But the rebuilding started long before 2 months ago. I've been in business for over 5 years, and although I've grown and flourished in many ways, I was lacking one major thing: direction. I started out with the dream of becoming a wholesaler - a big, multi-employee, wholesaling machine like the designers I admired so much while working at Swoozie's. I pursued that dream in 2011 by going to AmericasMart in Atlanta - both in January and July. And although it was successful on many levels (Swoozie's and some other amazing stores picked up my line), I wasn't happy nor did I feel fulfilled. So in July of 2012, I attended the Stationery Academy hosted by Whitney English and Natalie Chang (two amazing women). I arrived feeling lost, insecure with my brand, and lacking direction. But I left with a spark, a hope and a belief that I could find my way in this great stationery and design world. And that's when the rebuilding and rebranding started to happen. I dug deep to figure out who I am, what my style really is, and how I can best serve my purpose through my career. I'm still working on my personal and professional development, but I'm now equipped with that one thing I needed most: direction. I'm extremely proud and so very excited about this launch. So much hard work, sweat and tears are in this new logo, website, and overall branding. I'm thrilled to have a logo and tag line that represents everything BHD is about... Delightfully Southern. After 5 years of being in business I finally have a website that can serve as a portfolio for all of the products and designs I offer. Although there are new products and designs yet to come, I can actually be proud to send customers and clients to the new bethhartdesigns.com! My Etsy shop is still a work in progress, but soon many of my products will be available for purchase online. Below is the branding style guide for my new "do." Thank you so very much for all of your patience, support and encouragement throughout this time. Beth Hart Designs would not be possible without you, and I am beyond grateful and so very blessed! I feel that this is just the beginning to many great things ahead, and I am excited to share the journey with you along the way!